New Discovery – The Largest Hoard of Athenian Owls! 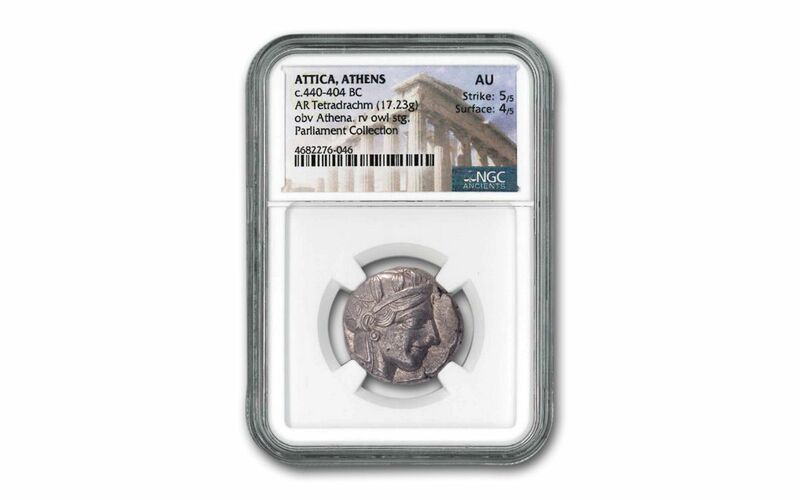 Struck sometime between 440 and 404 B.C., this Greek Silver Tetradrachm was minted in Athens, the capital city of Attica, a region of the Greek empire. It features perhaps the most iconic and instantly recognizable designs found on ancient coinage: the Athenian Owl, flanked by the crescent moon, olive branch, and monogram of its city of origin. 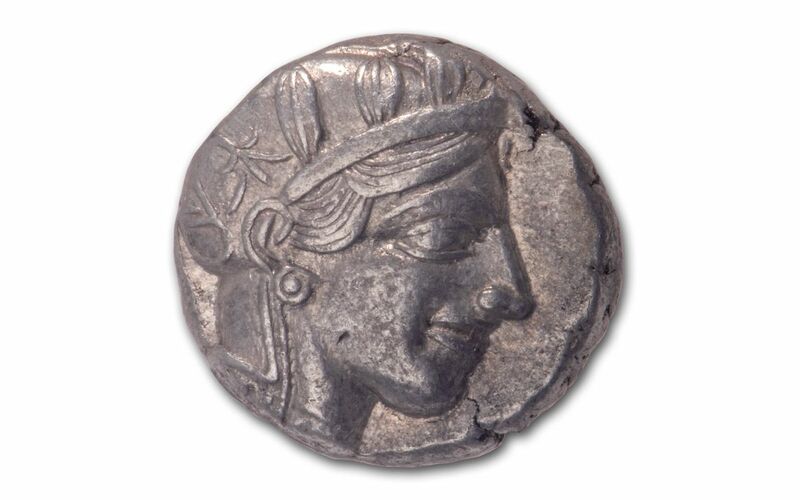 The obverse features the goddess Athena herself, protected by her beautifully designed helmet. Part of what makes these coins so iconic is that they are the first mass-circulated coin ever produced! In fact, many of the skilled laborers and soldiers who were paid with these coins simply had no idea what a coin was, resulting in many coins being marked with knives or other instruments used to cut into their surface and confirm their contents. These coins were minted in large quantities in order to restore the Acropolis and build the Parthenon in Athens. Because of our connections in the numismatic world, we were able to get our pick of the nicest looking coins from this hoard. These selected pieces make up the Parliament Collection – a once-in-a-lifetime opportunity to acquire such high-quality Athena Owl coins. It’s the largest hoard of its kind we’ve ever seen, with coins in this offering graded by the Numismatic Guaranty Corporation (NGC) as being in About Uncirculated (AU) condition. These coins have received the extra designation of being a part of The Parliament Collection. Don’t let these historic, museum-quality coins disappear! 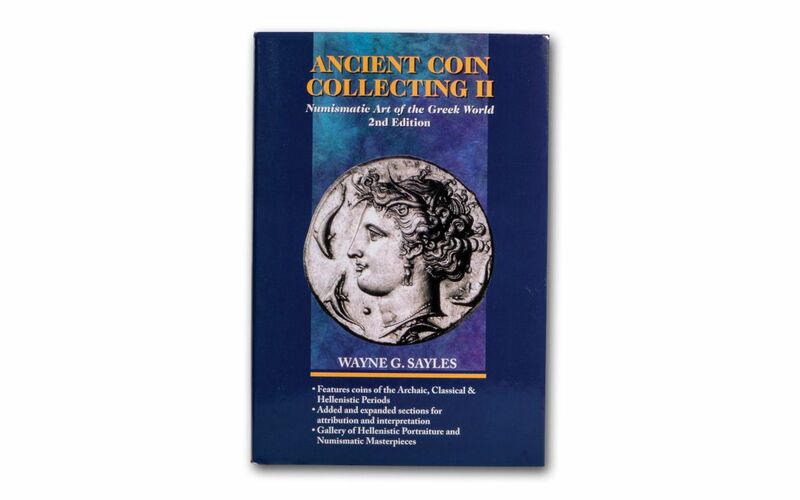 ANCIENT HISTORY YOU CAN HOLD IN YOUR HANDS – Each coin is approximately 2,400 years old from a time when Athens was a cultural center of the world and the heart of ancient Greece. Athens was a key city-state that laid the foundations for Western civilization. When one thinks of ancient Athens, images of the Acropolis, the Parthenon and the Temple of Zeus come to mind. Now you can hold an actual piece of that history in your hands! 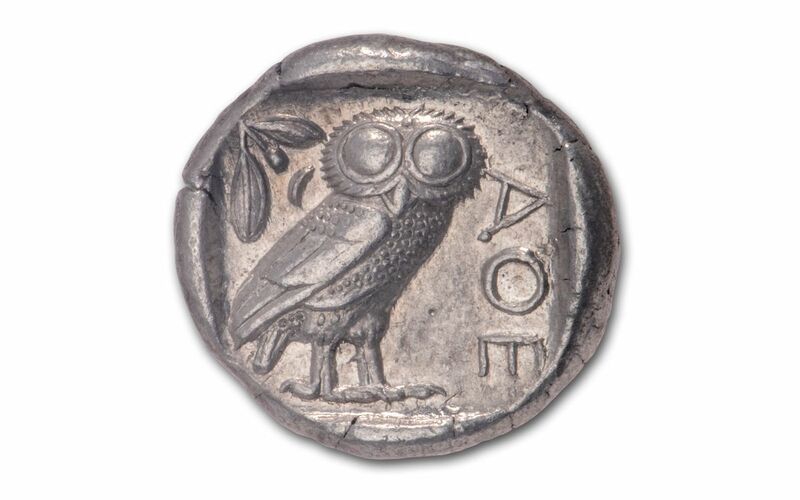 EACH COIN STRUCK BY HAND – Your Athenian Owl Silver Tetradrachm was carefully struck by ancient artisans more than two millennia ago. Because of this, no two coins are exactly alike! COMES WITH SPECIAL PEDIGREED LABEL – Each coin will come sonically sealed in an acrylic coin holder and encapsulated with a special Parliament Collection label. A parliament refers to a gathering of owls and a fitting label for a coin from this important coin discovery. HISTORIC DESIGNS THAT INFLUENCED MODERN COINAGE – These Owls proved very wise. Athena was the goddess of wisdom and warfare and the patron goddess of Athens. In Greek mythology, she was the daughter of Zeus. The owl is Athena’s familiar and, according to legend, she sometimes took the form of her owl. President Teddy Roosevelt was said to have carried an Athenian Owl coin in his pocket, which in turn inspired him to order the redesign of U.S. coins in the early 1900s. 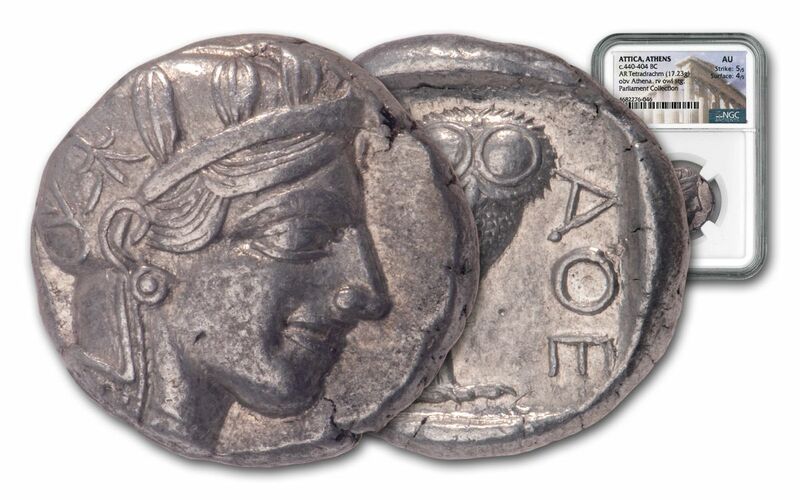 We only have a small cache of these coins, so you’d be wise to order your Athenian Owl Tetradrachm now while we still have some available!